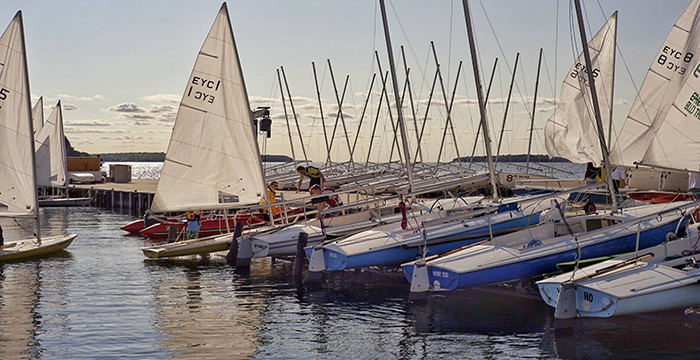 The Ephraim Yacht Club (EYC) is a family-oriented community sailing center. It is located on Eagle Harbor in beautiful, historic Ephraim. The EYC is open Memorial Day through Labor Day. Membership is available to all and no sponsorship or recommendation is required. Members of the EYC include residents of Ephraim and other towns in Door County, as well as many shorter term visitors. Family ($200 annually), Senior and Senior Couples (71 yrs; $175), Single (25-70 yrs; $175), Young Adult (25-30 yrs; $50, no initiation fee), Student (24 yrs and younger; $70). Each of the above memberships begins with a one time initiation fee of $200.The EYC is a public charity qualified under section 501(c)(3) of the Internal Revenue Code. A staff of US Sailing certified instructors teaches junior sailing lessons from mid-June through mid-August. Private and adult lessons are also available. Supervised Junior Activities on Wednesday nights are open to all Junior members beginning June 27th 2018. The EYC hosts a full calendar of social events, including a Fyr Bal Family Cookout, an Opening Social, a 4th of July Ice Cream Social, weekly Bridge and Bunco Nights and an end of the season Commodore’s Party. Impromptu barbecues occur on many weeknights following evening races. 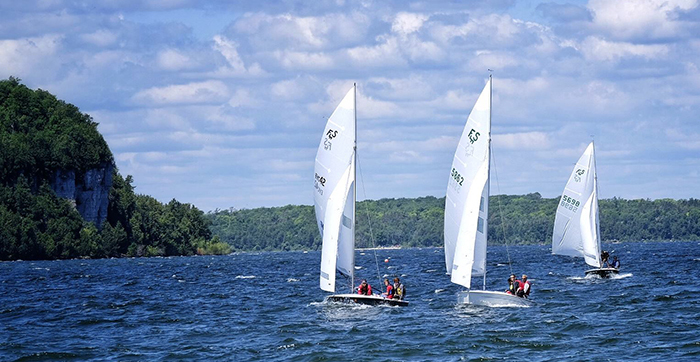 There are four racing one-design classes at EYC, the Optimist dinghy, club 420, Laser, and Flying Scot, and races are held twice a week for each boat type during our racing season. In addition, there are seven regattas, annually. Most fleets have a fleet captain, who helps communicate and coordinate with the participants. Club races are open to EYC members only; regattas are open to all, but only club members may use EYC-owned boats. The EYC owns 55 sailboats in four classes -- Flying Scots, 420s, Lasers and Optimists -- which are available for use by qualified members free of charge. Dry slips for Flying Scots, Optimists, Lasers, and other sailboats are available to members. The EYC hosts the annual Ephraim regatta in early August each year. The Ephraim Regatta is one of the largest Flying Scot regattas nationally. In 2017 we had 34 boats compete, including top caliber competition. 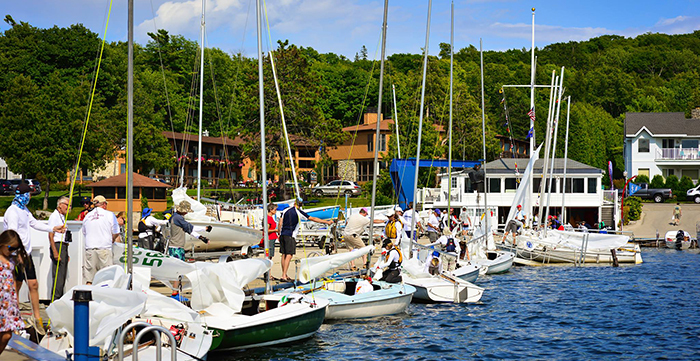 The Ephraim Regatta is the oldest on the Great Lakes, having been held every year since 1906. 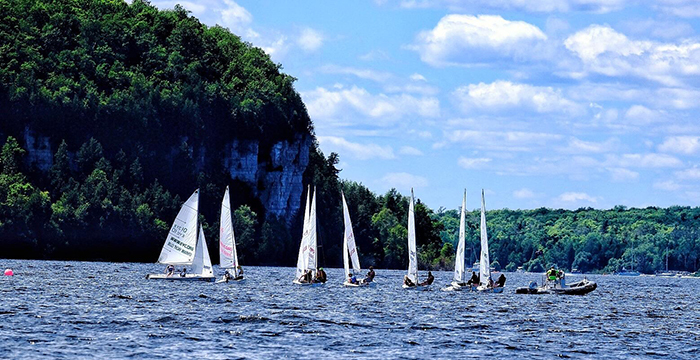 Other annual regattas hosted by the EYC include the Fyr Bal (season opener) regatta in June, junior regattas held in both Optimists and 420s, a Family Regatta, a Geezer-gatta and a Women’s Regatta.